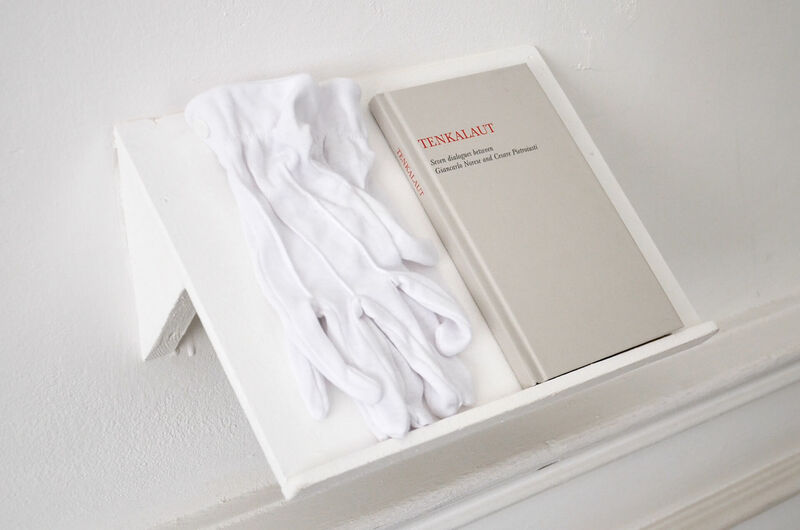 During this evening event, Giancarlo Norese will do a performance about the book Tenkalaut. Seven dialogues between Giancarlo Norese and Cesare Pietroiusti. Tenkalaut is a publication by Giancarlo Norese and Cesare Pietroiusti in which the artists have translated seven concrete dialogues in seven fictional languages. With this performance, that is specially conceived for Le Cube – independent art room and presented at the Istituto Italiano di Cultura, Norese invites the audience to render these dialogues alive, by proposing to the attending people to read the texts out loud. This public reading taking place in the frame of the exhibition Tradition – Traduction – Trahison is an invitation to reflect on the notions of translation and appropriation while following the spontaneity and the complexity of the readers thoughts.